Sorry I was missing last night – we had no power… Nathan said it went off at 1pm, and it didn’t come back on until close to 8 o’clock in the evening, so we sat in the dark, and were quite cold until then! 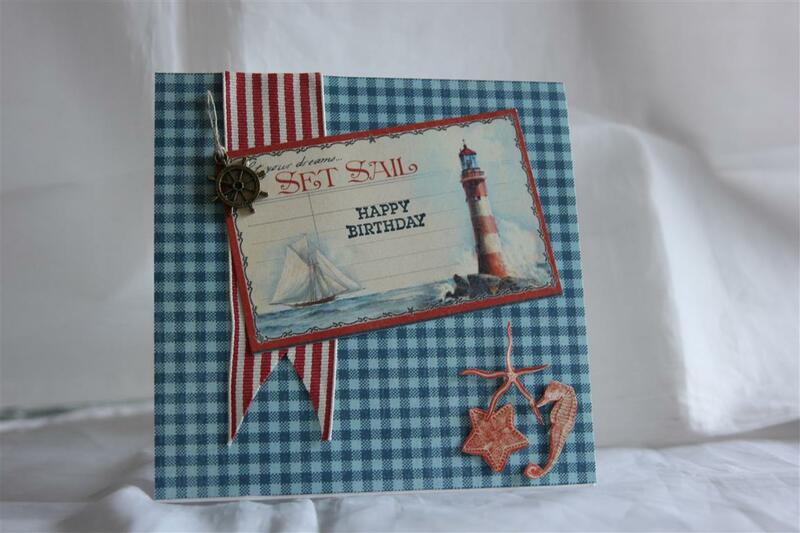 It was a very late dinner last night!Todays card is Graphic 45 By the sea patterned paper, and a fussy cut quite a few images . 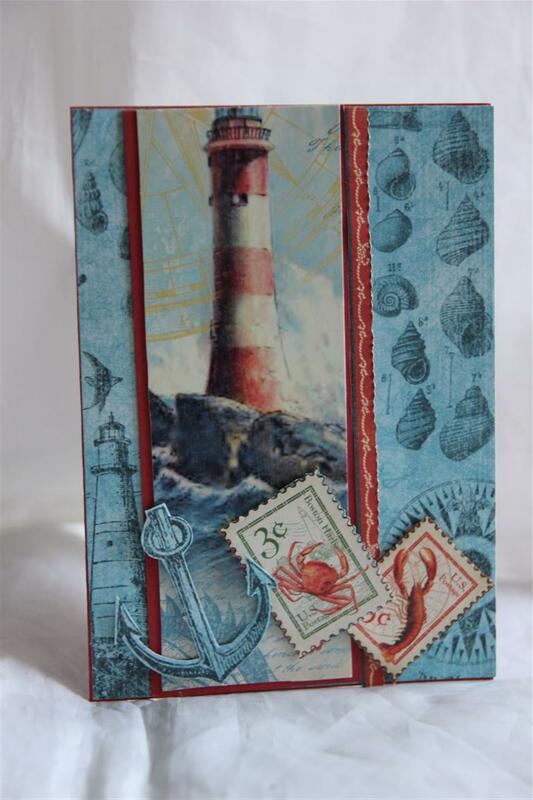 I mounted the lighthouse on some stampin up real red cardstock, and used a little of the trim from the same paper down the right hand side.This paper is out on my craft desk at the moment, as I was planning to make some more cards with it, but I have a few orders to complete, so will have to pack it up again! til tomorrow…..